News...Yellow Nightmares Press Will Be Exhibiting At Philcon! For All The Details Visit...http://philcon.org. DNA--the building block of life. Countless scientific breakthroughs stemmed from this one discovery. 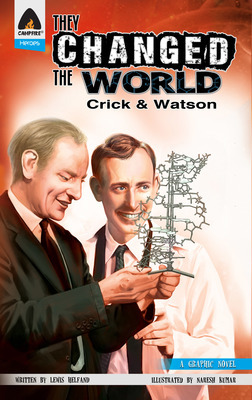 What drove the scientists to devote their lives to understanding DNA? That story is told here including the behind the scenes rivalries that made this great accomplishment possible. Europe was on the brink of collapse. And as Adolf Hitler's twisted Nazi army steamrolled through Poland and France and beyond, the fate of the entire world was hanging in the balance. 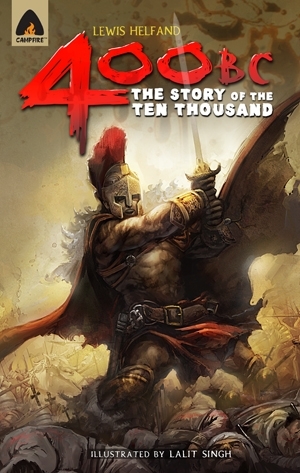 This is the true story of how millionsdefied an empire in the making and rose up to fight for freedom. The search for a soul mate is hard. Throw in superpowers, a spandex costume, and a secret identity...and it becomes almost impossible. 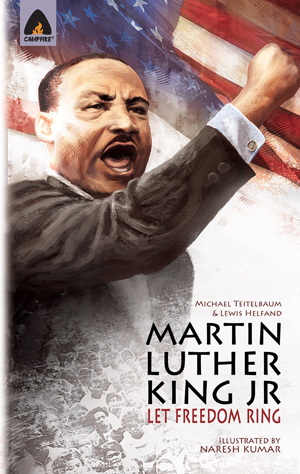 An all-new full-color graphic novel from writer, Lewis Helfand, and artist, J.C. Grande. To learn more about the story and check out the artwork...CLICK HERE! And for a digital version, visit Comixology! 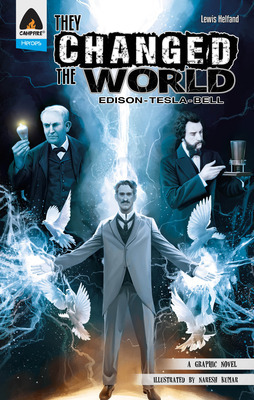 Edison! Tesla! Bell! Three of the greatest inventors the world has ever known. From the moments that set them down the path to greatness to their successes and failures to their friendships and rivalries with each other...this is their story. 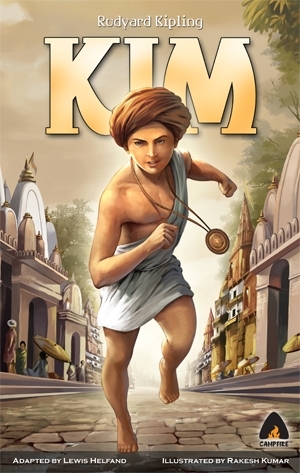 2015 Comic Con India Award Nominee for Best Writer. The story of how rock music began and how it transformed a generation. 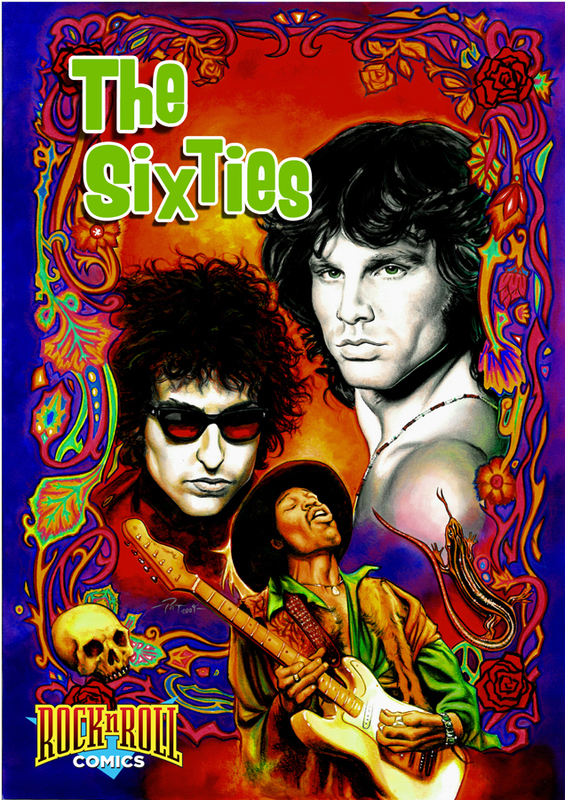 The graphic novel edition collecting the story of 60's rock with tales of other rock and roll icons. The road to equality is never an easy one. And many have sacrificed and suffered so that future generations might taste true freedom. But few gave more than Nelson Mandela. And fewer still had the heart to embrace even those that were responsible for their pain and suffering. 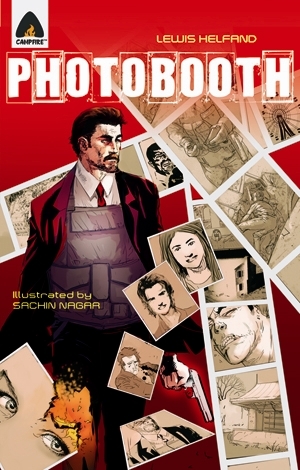 Winner: Graphic Novel of the Year 2011 at Comic Con India. Every hero has their origin story. And this is Mother Teresa's. 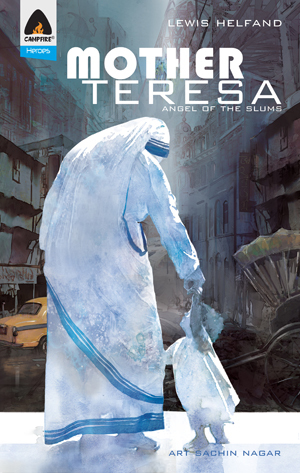 Mother Teresa: Angel Of The Slums traces how one woman reshaped the world--not with money or power or technology--but with compassion. A three-time Comic Con India Award Nominee for Best Writing, Best Pencils/Inks and Best Coloring. A 2014 South Asia Book Awards Honor Book recipient. 2016 Best Christian Comic at the Christian Comics Festival in Angouleme. A century after Abraham Lincoln put an end to slavery, America remained a land of inequality, a land where your rights and opportunities depended on the color of your skin. Until a visionary and dreamer by the name of Martin Luther King Jr. taught his country the transformative powers of love and acceptance. A four-time Comic Con India Award Nominee in 2012 for Best Writing, Best Pencils/Inks, Best Coloring and Best Publication For Children. In the mid-1800s, America stood at the brink of war. But it was not a force from outside America's borders that threatened to destroy the nation. It was brother fighting against brother and father against son. It was friends and neighbors clashing over the issue of slavery and the belief that every man, regardless of race, deserved to be free. 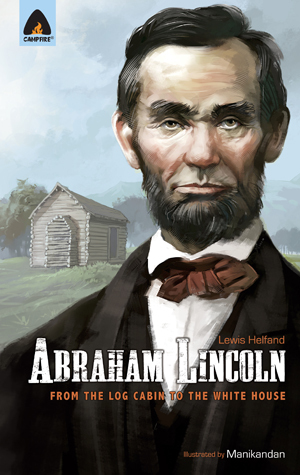 From The Log Cabin To The White House chronicles the life of President Abraham Lincoln and America's journey from war to freedom. 2012 Comic Con India Award Nominee for Best Coloring. 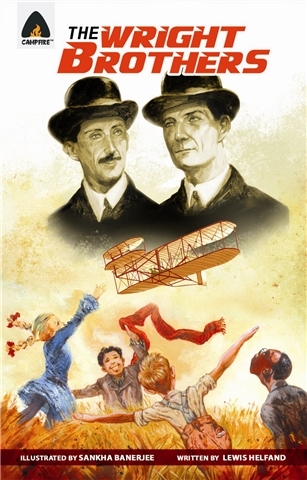 The thrilling true story of Orville and Wilbur Wright. At a time when even the world's top scientists couldn't find a way to conquer the skies, two young brothers risked everything they had to do the impossible. The Wright Brothers chronicles everything from the events that inspired them to take to the air to their historic moment of triumph. One of the most recognized faces on the planet, Muhammad Ali is considered a hero to millions all over the world. But that wasn't always the case. He was dismissed as weak when he first entered the ring. He was labeled a traitor to his country when he refused to serve in the armed forces. But Ali was never weak. He was never a traitor. 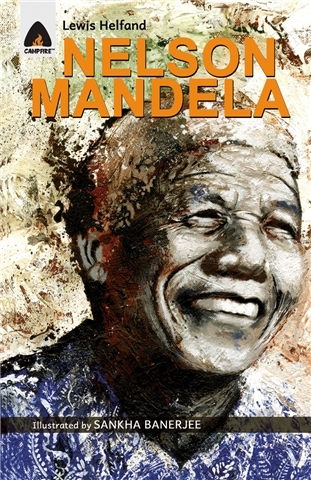 And he proved to the world that he was far stronger and much more courageous than anyone could have ever imagined. 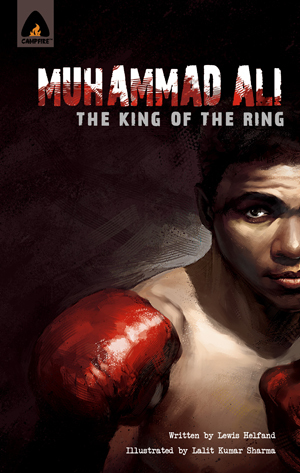 The King Of The Ring details exactly how Ali became a three-time world champion. A two-time Comic Con India Award Nominee in 2011 for Best Artist and Best Cover. Tenzing Norgay was the son of poor Tibetan immigrants. Edmund Hillary was nothing more than a beekeeper from New Zealand. Both grew up dreaming of adventure and a chance to see the world. And in 1953 they both got that chance on an expedition to the top of the world. 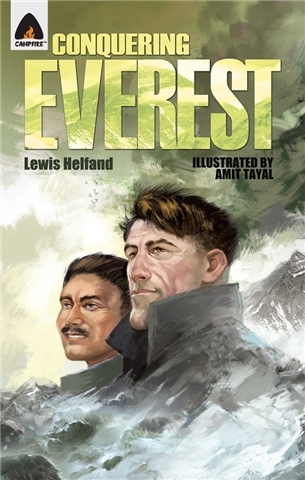 This is the true story of the deadly mountain known as Everest and the two men that tried to do the impossible and reach Everest's peak. Forced to work in offices and restaurants and stores. Forced to go on job interviews and fill out job applications. 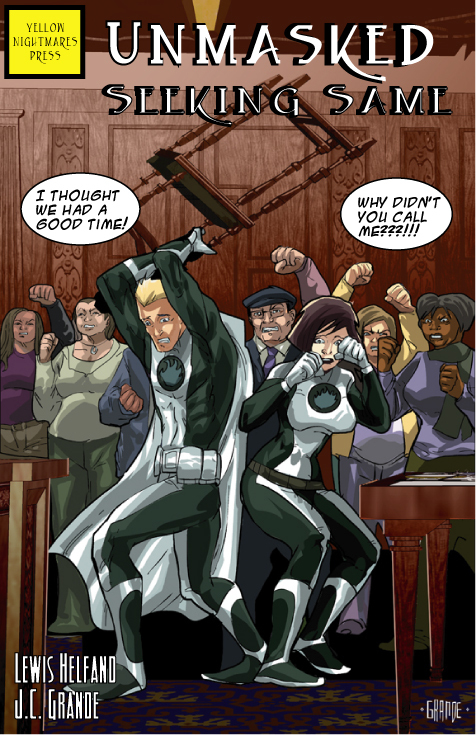 Instead of battling supervillains, they are battling boredom and broken vending machines. ...and were now required to save only yourself? What would a former superhero do? 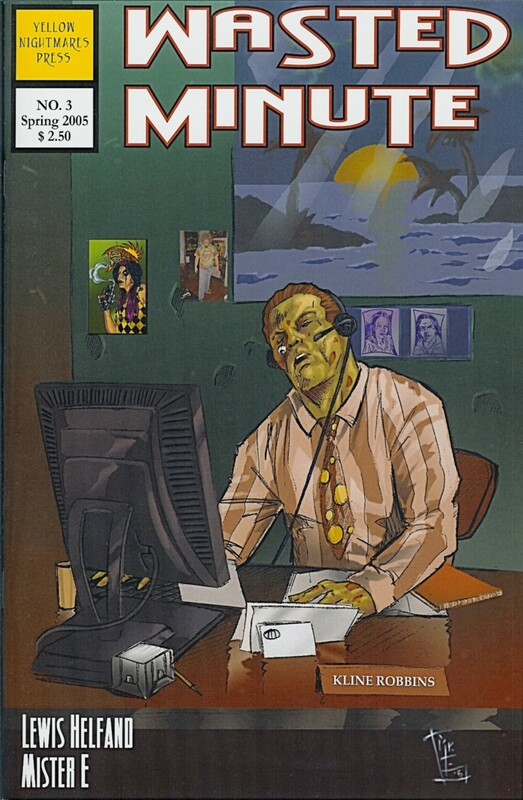 The first five issues of the acclaimed dark comedy from writer, Lewis Helfand, are available now. Featuring artwork by Mister E and Sarah-Lynn Brown. "One of the damned finest stories in comics being printed." --ComicAvalanche, Letters From The Edge. "I plan on tracking down more issues of this innovative indie." The world is in chaos. A fatal virus is sweeping the earth. One that bestows its victims with unlimited superpower until they die three days later. Have you ever felt the life you have isn't the life you're supposed to have? Have you ever believed that the person you've become isn't the person you're supposed to be? It's almost as if you're life went in the wrong direction one day and has never gotten back on track. Interpol agent, Praveer Rajani feels that way everyday. But figuring out what is missing in his life will lead him to a decades-old unsolved murder, the family his sister lost forever, and the love that his brother let slip away. They were once an army of one hundred thousand unstoppable Greek warriors determined to claim the throne of Persia for Cyrus The Great. But now they number just ten thousand. Ten thousand soldiers, broken and battered and far from home. 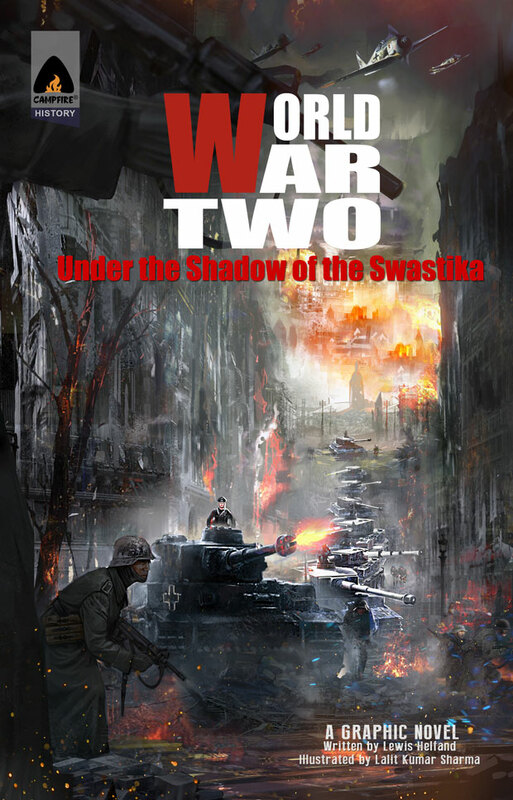 Their leaders are dead, their allies are gone, and they have just two options left. They can give in to death...or they can fight. 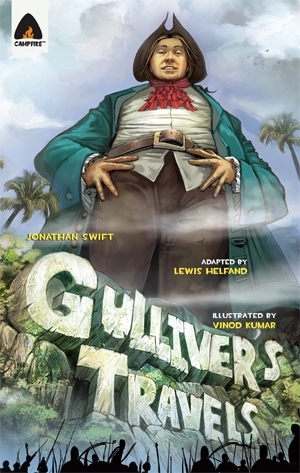 Adapted from Jonathan Swift's treasured novel, the graphic novel includes all the adventure of the original as Lemuel Gulliver, a dreamer and explorer at heart, sets sail for a bit of adventure. As his travels take him from a land of giants to a floating island in the sky, he yearns to return home to his family. Until his journeys teach him far more about himself and his own culture than he ever expected. And suddenly returning home is the last thing he desires. 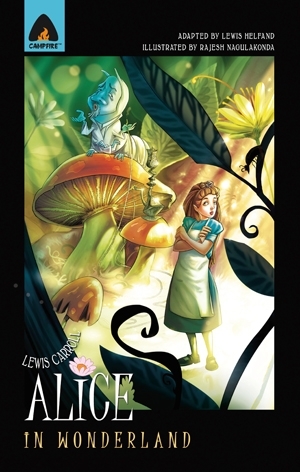 Based on Lewis Carroll's masterpiece, revisit one of the most beloved children's stories of all time. Alice was just an ordinary girl thirsting for adventure. And what she discovers is a world unlike anything she could imagine. Starring the Mad Hatter, Cheshire Cat, Queen of Hearts and a host of other iconic characters. A young boy surviving on the streets of India. A Buddhist lama on a spiritual journey. And a deadly game of espionage that ensnares them both. Kim captures the beauty and charm of India in a way that only Rudyard Kiping could. 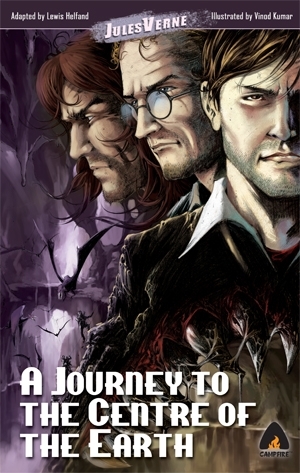 Adapted from the classic novel by visionary writer Jules Verne, Journey follows the adventures of the determined Professor Hardwigg, his courageous nephew Henry, and their steadfast guide Hans, as they travel deep into the bowels of the earth. They are searching for a treasure far more valuable than gold or gems. But the journey may cost them their lives. Based on the novel by H.G. Wells...men and women have dreamed of time travel for centuries. And now one man has unlocked those secrets, designing a machine to travel into the distant past or the far off future. But will traveling into the future reveal a utopian society...or a hidden nightmare better left undiscovered? Set 300 years in the future with the government in shambles...this blend of action and comedy presents an America facing a major caffeine shortage. An America where the First Lady has been kidnapped. An America with a biker in the White House. And the one hope for America...is Roxy Riley and her flying motorcycle. Can Roxy save the nation and rescue the First Lady? Of course she can...as soon as she's done with her bar fight. This site is designed & maintained by Lewis Helfand. Which explains why it's only updated once in a blue moon. lazy to produce both blue diamonds and yellow moons. Yellow Nightmares Press, Wasted Minute, & 4320 © & TM 2016 Lewis Helfand.